There's a potentially interesting story in The Theory of Everything, James Marsh's film about the life of Stephen Hawking (Eddie Redmayne) and his relationship with his first wife Jane (Felicity Jones). Unfortunately, it was already told in 2004 and it starred Benedict Cumberbatch. Marsh's film and the BBC film Hawking cover a lot of the same ground; both focus on the physicist's time as a post-graduate at Cambridge, his first meeting with Jane and his initial diagnosis with ALS. The earlier film did what far too few films about real people do, though, and focused primarily on that short window of time. The Theory of Everything, by comparison, tries to encompass all of Hawking's life, and loses its centre of gravity very quickly. For its first half an hour or so, The Theory of Everything gets close to being great. Working from Jane Hawking's memoir Traveling to Infinity: My Life with Stephen, Marsh and screenwriter Anthony McCarten create an affecting look at a young man destined for great things who is faced with the most crushing news possible. The scenes of Stephen and Jane as they get to know each other and gradually fall in love are sweetly played by Redmayne and Jones, and there's a real sense of playfulness to their time together as two intelligent people whose world views, since he is an atheist and she is deeply religious, are completely different. The film does a great job of getting across Hawking's huge enthusiasm for his work, which makes the scenes in which he tries to explain his theories to Jane unexpectedly exhilarating. The thrill of discovery pulses through the first part of the film, both when it comes to discovering the secrets of the universe and romance. All of that excitement serves to make Stephen's diagnosis all the more crushing. The film peaks with Stephen's fall while walking across a courtyard and its immediate aftermath. Redmayne brilliantly conveys Stephen's sense of hopelessness after he is told that he may only have a few years left to live, during which he will gradually lose control of his body, leaving his brilliant mind trapped inside. Jones, meanwhile, is fantastic at playing a young woman who displays fierce resolve in supporting the man that she loves, and taking on responsibilities that she never expected to shoulder. Once the story moves beyond their time at university, the early years of their marriage and Hawking's first brush with fame, The Theory of Everything becomes a much less interesting proposition. The depiction of their married life, as well as its eventual disintegration as Stephen travels the work and the two drift apart, is treated in a rather schematic fashion. Years pass between scenes, yet the film rarely gives a sense that time has moved on at all - a problem which is exacerbated by the decision to have Jones play the same character for decades without aging her at all. The characters change in fits and starts, and by the end there's little reason to care about what's happening to them, other than the fact that one of the characters is an immensely important and influential figure. Even through the dull back half, the acting remains pretty phenomenal. It's easy to praise Redmayne since his performance requires much more of a physical transformation than Jones', but that doesn't make it any less remarkable. What's truly great about it is not the way that Redmayne manages to recreate Hawking's distinctive posture and facial expressions, but how he manages to retain the man's sense of humour and vitality even as the role requires him to remain almost totally static. Jones, meanwhile, is equally great at conveying Jane's growing sense of isolation, and manages to find reality in plot points which Marsh's direction reduces to cloying melodrama. Not only are they the best parts of an otherwise unremarkable film, but they are so good that it heightens the mediocrity around them. That's a dubious honour, but it really is a testament to the quality of their work. 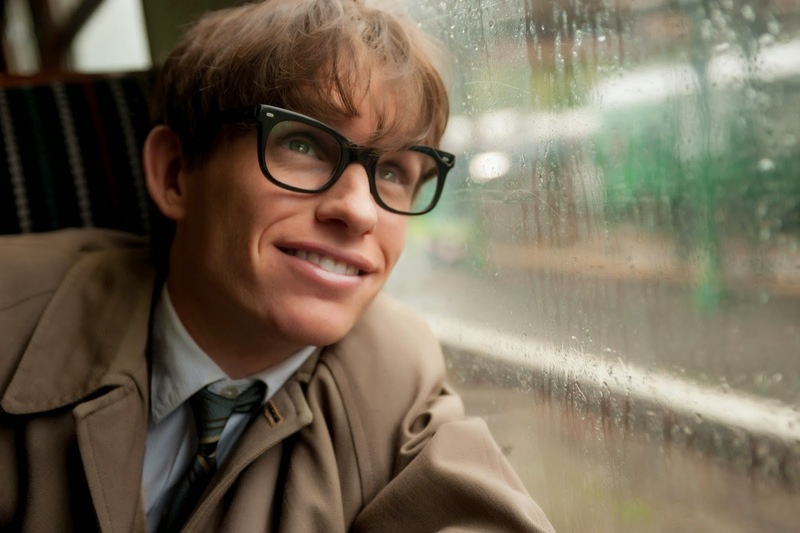 The Theory of Everything isn't a bad film, at least not in a technical sense. There's no boom mics in shot or anything, and everything from the cinematography to the score have the sheen of a middlebrow prestige picture. What it is, though, is a wasted opportunity. By trying to tell the whole story, Marsh squanders the talent of two promising young actors, both of whom are doing some of their best work, and a real-life story that has a richness that his film only occasionally hints at. It does a decent job of explaining Stephen Hawking's work (in the handful of scenes when it bothers), but offers little insight into the man himself.